The re-opening of Wonderkamers 3.0 at the Gemeente Museum Den Haag. “Chambers of Wonder 3.0” is an immersive experience where young and adult visitors can engage in an inspiring world of fine art, photography, decorative art, architecture, and fashion. 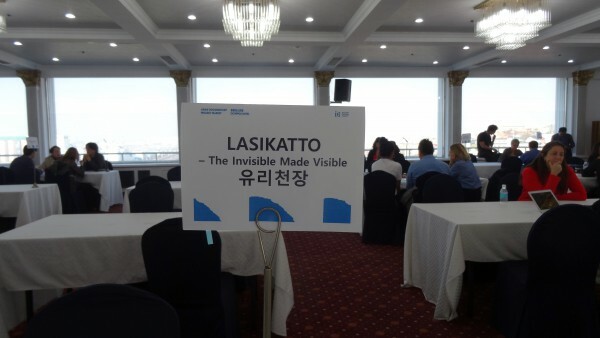 We are excited to be part of the Nordic delegation to the Docs Port Incheon in South-Korea with Lasikatto The Invisible Made Visible. Such an honour and pleasure it was to pitch LASIKATTO among the best Nordic documentary films at the Nordisk Panorama Forum 2018! We had a very successful shoot with journalist Hunter-Gault in Martha’s Vineyard. Keep on keepin’ on! With the development support from the Finnish AVEK and YLE LPMA Productions is heading to New York this summer. We will be shooting our international participants in LASIKATTO The Invisible Made Visible, a creative documentary film directed by Mari Soppela. We will interview the legendary journalist Ms Charlayne Hunter-Gault, among others. You can keep up with the news by signing up to our newsletter here. We’re happy to announce that LASIKATTO – THE INVISIBLE MADE VISIBLE has been selected to represent The Finnish Film Foundation as their wildcard pitch for this year’s Nordisk Panorama Forum for Co-financing of Documentaries in Malmö, Sweden.